Though these issues are usually the fault of the local government, bringing a lawsuit against them or anyone they employ is difficult. Most people understand the basics of liability on the road, especially if the accident in question involves only two drivers. To do so, you analyze the conditions that led up to the crash and assign fault to each driver. Once you do, assessing liability is straightforward. On the other hand, some situations are much more complicated and require a St. Louis car accident attorney to sort it out. Two examples of this are improper road design and road maintenance. This term refers to a road that is inherently unsafe based on the design of it. Often, these roads are hot spots for car accidents and local governments begin to receive reports about them after some time. A few typical examples are lack of signage, blind intersections, faded road markings, and no guardrails. Each of these conditions can result in collisions, and none of them are a driver’s fault. Instead, they are caused by whoever is tasked with designing the roads. Often, these design flaws are only fixed after a significant amount of complaints. The other side of this issue is poor road maintenance. Generally, keeping the roads in proper condition is the responsibility of the local government. When they do not manage the streets as they should, people get into car accidents. The most prevalent examples of improper maintenance are debris in the road, potholes, overgrown plants blocking visibility, and poor salting in snowy conditions. Again, each of these factors increases the odds of an accident but are not the driver’s fault. Instead, whoever is responsible for their maintenance is to blame. Who is Most Likely to Be Liable? Though these issues are usually the fault of the local government, bringing a lawsuit against them or anyone they employ is difficult. Instead, people typically pursue compensation from another driver. Even if that driver was only partially at fault and road design or maintenance played a role too, that person will end up paying all of the compensation. The reason is that people are expected to drive safely even if the circumstances are not optimal. The vast majority of these cases end up with a driver being liable, but some of them do not. This happens under two circumstances. First, a non-government third party could be found liable. An example of this would be a truck dropping debris on the road and you hitting it. In this situation, you could bring a lawsuit against whoever owns that truck. Second, it is possible to pursue compensation from the government or a government contractor. If you try this, please note your case will be incredibly complex, and you’ll need a St. Louis auto accident attorney to guide you through it. When it comes to driving safety, there are many things you can do to keep yourself safe. Unfortunately, some factors are out of your control. Improper road design and maintenance are two of those factors, and each can lead to an accident. If this ever happens to you, be sure to contact a lawyer to discuss your compensation attainment strategy. St. Louis auto accident attorney Christopher Hoffmann has more than 20 years of experience in personal injury law. 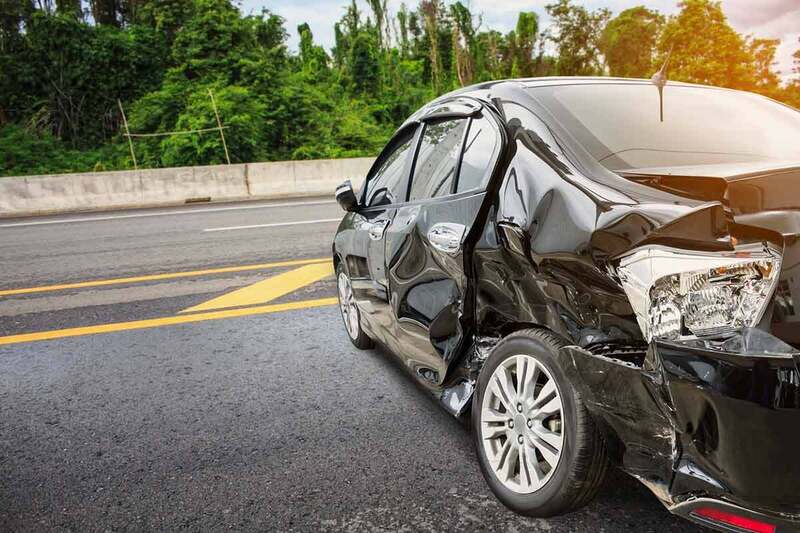 No matter what type of auto accident you were injured in, we can help you to recover the maximum compensation for the damages you have incurred. We have litigated and negotiated numerous successful cases in the past and possess the skills required to protect your interests as well.